Firstly, I appreciate any help! Dolphin is a wonderful program, and I would love to enjoy it in 3D. I can't think of any relevant config settings, but I can tell what they are if anyone needs them. I have tried resizing the window all kinds of ways and going fullscreen. I have also tried Stretch to Window under Aspect Ratio which allows me to stretch it by eye, but it does not set it to the right resolution automatically. When Stereoscopic 3D is off, the screen is not stretched. I tried this on my friend's computer, and it seemed to be fine. I am unsure of why this is inconsistent between computers. If you have any ideas on how to fix this, please suggest them. If you need any other information, please just request it. Thanks! That's how side-by-side 3D looks (software-wise) on non 3D-screen, as it needs to present two pictures regardless of the monitor. Another example is https://www.youtube.com/watch?v=hcHsE5pUgUs. The monitor/TV/Projector that plays the video should switch to stereoscopic mode either automatically (that is, when the device sees this kind of double picture) or manually (selecting side-by-side 3D/stereoscopy with your i.e. remote controller). This means that the actual video data stays the same, but the display device stretches the two sides, doubles the refresh rate (this can only be done with a 3D capable device) and thus (with the aid of 3D glasses) shows only the right eye picture for the right eye and the left eye picture for you left eye. I'm guessing that your monitor either is not 3D capable or if it is 3D monitor it does not recognize that the video is stereoscopic. Do you have 3D glasses connected when you selected the stereoscopy mode? Try changing crop in graphics, advanced? (07-06-2016, 10:25 PM)TurboK Wrote: That's how side-by-side 3D looks (software-wise) on non 3D-screen, as it needs to present two pictures regardless of the monitor. Another example is https://www.youtube.com/watch?v=hcHsE5pUgUs. I do not have any special hardware (no monitor or glasses) for 3D viewing. I am just trying to view the 3D cross-eyed with Side-by-Side with the eyes swapped. I would understand why it is squished if there were no more space left in my window for the picture to stretch on, but there is a lot of black space on the screen (the picture I have on the thread is simply a printscreen cropped to the window; I did not manually separate the images). If I drag the window out to make it wider, the pictures just move apart from one another, and there is more black space. This picture illustrates the issue: http://i.imgur.com/3rqIYkD.png It's a pretty huge picture, so I figured I wouldn't include it directly. It is not an issue with monitor space. Any ideas? Thanks! (07-06-2016, 11:25 PM)Craftyawesome Wrote: Try changing crop in graphics, advanced? Unfortunately, that only zooms the picture in a bit. Thanks, though! EDIT: I also tried using Dolphin 5.0-129. That did not fix the issue. What I don't really get is why the "Swap Eyes" option in Stereoscopy has a description of "Swaps the left and right eye. Mostly useful if you want to view side-by-side cross-eyed." What is the point of not giving a mode that allows using the proper ratio? If this is not currently a feature, can I request it in the Development thread? Is that where requests are properly handled? The only way I can figure out how to solve the problem is with trial-and-error using printscreens and dragging the window size around in Stretch to Window aspect ratio mode. 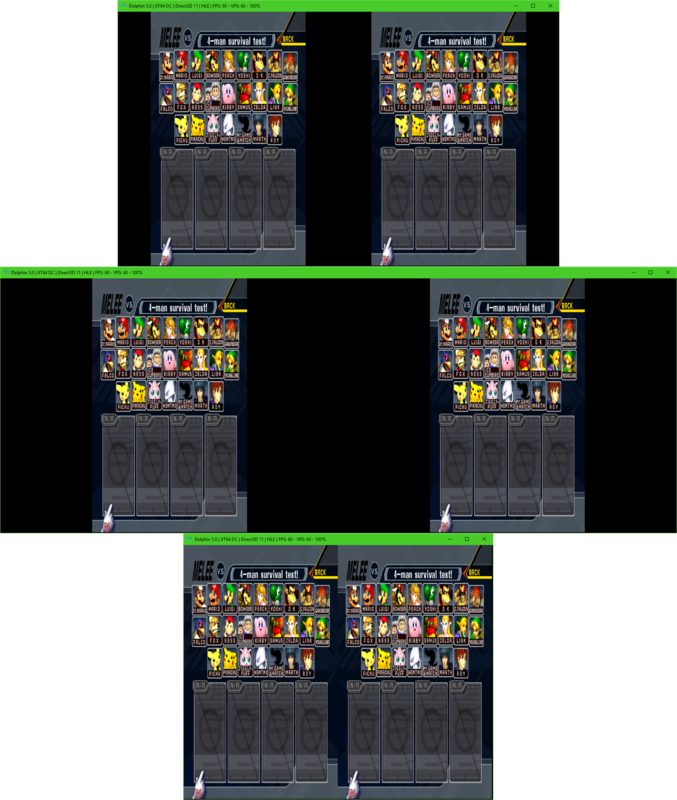 I got it to look as follows by using Stretch to Window: http://i.imgur.com/N6AC8im.png This only works with 4:3 games as far as I can tell, though, and I can't resize the window without messing up the ratio. 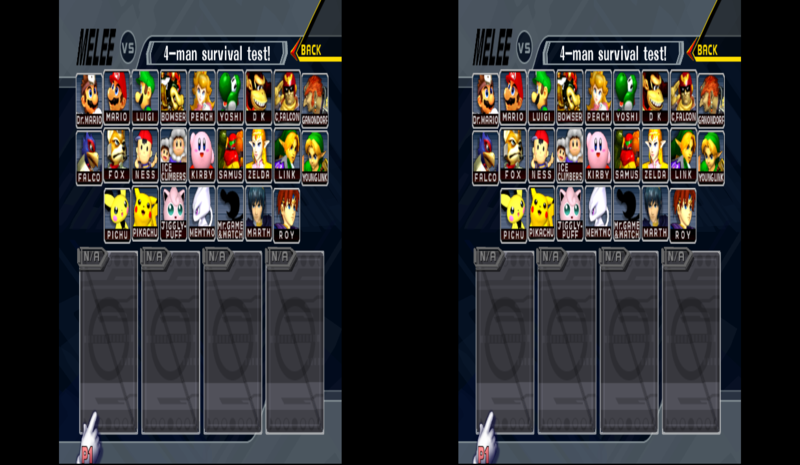 It would really be nice to have Dolphin do this for me like with normal Auto Aspect Ratio, but for some reason it doesn't work on Side-by-Side. I submitted a request, and all I got was that they don't plan on supporting cross-eye view. :/ Thanks for the help, though!